Pantheism (Greek: Ï€Î¬Î½ (pan) = all and Î¸ÎµÏŒÏ‚ (theos) = God, literally “God is all” -ism) is the view that everything is part of an all-encompassing immanent God. In pantheism, the Universe (Nature) and God are considered equivalent and synonymous. More detailed definitions tend to emphasize the idea that God is better understood as an abstract principle representing natural law, existence, and the Universe (the sum total of all that was, is and shall be), rather than as an anthropomorphic entity. via Pantheism – Wikipedia, the free encyclopedia. You know what that means? God was in your mom last night. 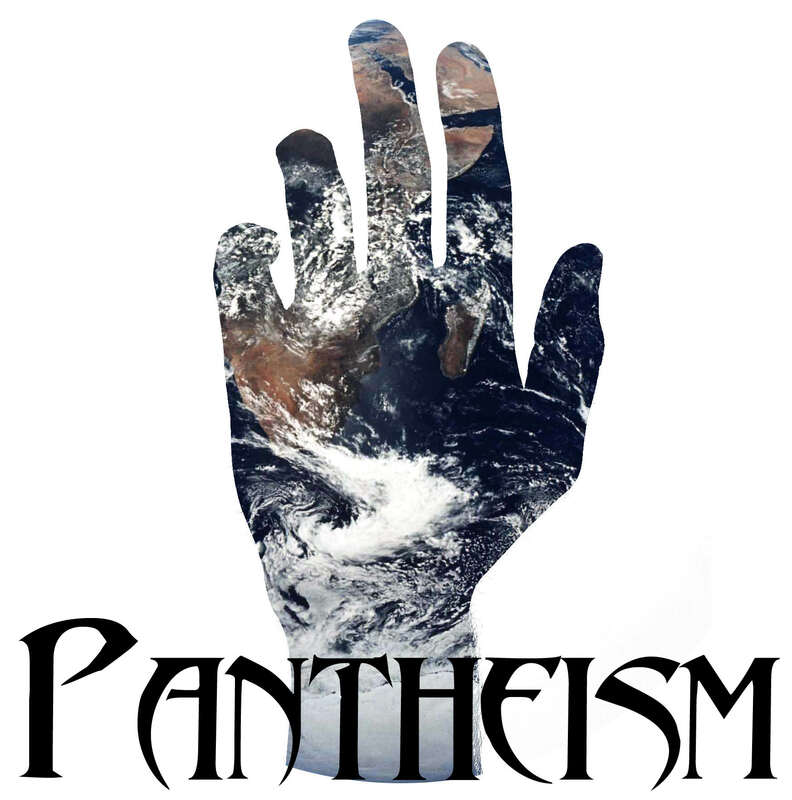 I have a friend that calls himself a pantheist. I find it a cop-out to both belief and non-belief. If you’re going to believe that nature is god, why the name change? I don’t see things like pantheism and intelligent design so much as a cop out, as much as a recognition that science is not perfect, and is limited by our human perception of the universe. I find it interesting how any scientist will readily admit that, were we to encounter another civilization sufficiently more advanced than us, they could concievably be just as powerful as any religious deity, however those same scientists will scoff at the idea that we might just be experiments in the petri dish of some other massively advanced civilization, simply because they replaced the words, “highly advanced alien civilization” with the word “Gods”. Because words matter. What we call something determines, in many ways, how we think about the concept that we’ve named Science has never claimed perfection, the opposite in fact; it builds on itself and changes all the time. Science makes a clear distinction between what is known, what is thought and what is unknown. I agree. True science should make a clear distinction between what is known, what is theory, and what is unknown. However in practice, I find that it does not necessarily work this way. Scientists sometimes become vested in a particular way of thinking, can lose objectivity, and try to make everything fit into their paradigm of thought. In biology we have both scientific names, and common names, any of which could have religious roots. Both of which are accepted by the scientific community generally without reservation. The same is true of chemistry. When it comes to creation, and evolution, however, I see aggressive rejection anything that is perceived to be even remotely religious in nature, whether it is or not. For instance, the theory of intelligent design might make perfect sense in the paradigm of a highly advanced civilization / petri dish scenario I spoke of. However rather than look at it that way, many atheists and scientists choose to look at it as people trying to scientifically validate a religious point of view, and therefore immediately reject it. Personally, I find this kind of theorizing a pointless exercise, since religion and science should technically be entirely irrelevant to each other. However as a scientist, why would you not treat it as any other hypothesis? In fact, why would a real scientist even be remotely concerned by any religious implications it might have? The common terms that are accepted by scientists are used when talking to lay people, or even amongst themselves, but when they publish, it’s the scientific terms they use. hey do so because it’s precise. Have you ever wondered why philosophical books are so difficult to read, and so boring? It’s because they’re trying to be as precise as possible. They don’t use a thesaurus, they use the same terms, over and and over again. There’s a certain amount of sameness, so that a reader in France can understand the writer in Germany. To whatever degree possible, they’ve agreed on definitions of important words and terms that describe concepts. Where evolution and religion are concerned, the problem is literally fundamental. It’s the same basic problem the Catholic church had w/ Galileo. They’re both trying for the minds of the people. Well that’s the way religion tends to see it, as a power play. Science isn’t concerned w/ the souls of the people; they want to get it right and they’re very competitive w/ each other, not generally w/ religion. If you call a class religion, science doesn’t care what you teach, but if you’re gonna call it science, then they should have the say as to what constitutes science. It is religion that has the problem w/ science, not so much the other way around. I do understand what you are saying, about the necessity of having consistent terminology for scientifically accepted things. My confusion is more about why ideas like Intelligent Design or Pantheism are considered a scientific religious cop out. Neither of those theories have any previously scientifically proposed counterparts, and it’s only competitor, the Big Bang theory, has some rather large gaping holes regarding what existed before the Big Bang. The video you posted before, about the Big Bang, postulated that matter may have come from alternate dimensions. And that space and time as we know it in this universe, did not exist. How is that any more valid a theory than saying some pan-dimensional entity created us from nothing? The fact that it has some similarities to religious texts should not have any bearing should it not? And both of those theories, AFAICT can be categorized within a valid theoretical scientific framework, much like the one offered by the lady in the video, who herself referred to it as a theory, and nothing more. They are all theories we can neither verify nor disprove, and given our current perceptive limitations, how can we say one is more plausible than the other? That seems rather unscientific. WRT the science/religion argument, yes, you are right, historically, religion has always been the first on the podium to call for the demise of science and the scientific. So I see what you are saying, though nowadays I think the reverse seems to be closer to the truth. Not that Roman Catholicism is the benchmark for all religious beliefs, but the fact that the Vatican has declared creation and evolution to be compatible with one another seems to support my observation that religion is trying to embrace science. I say, why not let them? Anything that might allow science to inject some rational thought where there was once religious fanaticism seems like a positive step. Instead, I hear scientists say that religion is the bane of mankind and should be completely eliminated everywhere. Religion (in one form or another) has been running things for millennia, let’s give the scientists a shot at it for a while. Rational thinking and logic have no place in this world. LOL… Ironically, therein lies the rub. Being a scientist does not automatically make you either logical or rational. Not to mention, I don’t think science deals with the humanities very well. They are good with theories, ideas and facts, not feelings. Rather than making it about science vs religion, I’d rather just have a people who can think logically but also have a heart running things. Then I don’t think it will matter whether they are scientific, atheist, religious, etc. I personally like Panentheism, while similar, it believes that the Universe is a part of God, but God is still more.